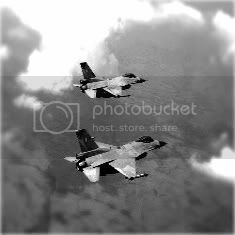 we are in the position to do CAP if u want to... 16 v 8... same armament..
We've designed a new mission that you'll like... Very complex for us!!! Hi, Grizzly could you sent me again the mission 10 Vs 10 via mail! I don't receive anything from you via mail. I've just forward to you again the email. Thanks... Maybe i deleted at error!!! Excuse me guys, but I've done something extrange. I was sure (not now... ) that I asked you to do a complete question list like we did with the first FoF briefing that Doctor sent me... so, I'm very sorry cause this. If you have any questions you need an imperative answer to continue, we, off course, will replay ASAP. I've answered the questions that Doctor did it.